Sandra L. Hindman, ed. Printing the Written Word: The Social History of Books, circa 1450-1520. Ithaca and London: Cornell University Press, 1991. Rapple, Brendan. 1994. “Sandra L. Hindman, Ed. Printing the Written Word: The Social History of Books, Circa 1450-1520. Ithaca and London: Cornell University Press, 1991.”. 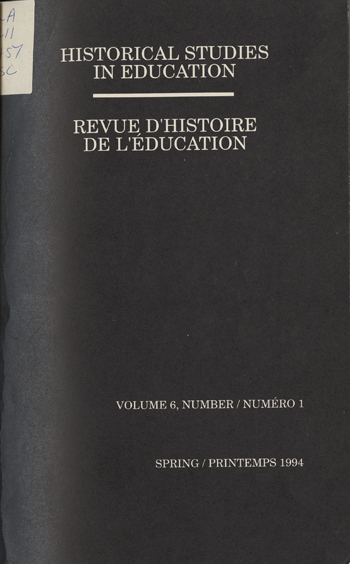 Historical Studies in Education / Revue D’histoire De L’éducation 6 (1), 98-101. https://historicalstudiesineducation.ca/index.php/edu_hse-rhe/article/view/1152.